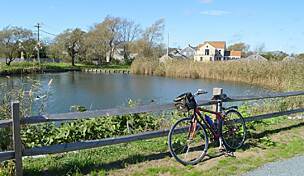 Immerse yourself in all that Cape Cod has to offer on this scenic 22-mile paved trail through the heart of the Cape. Pass through charming villages; enjoy sand dune vistas; experience a variety of landscapes, such as salt marshes, pine forests and cranberry bogs; rest at tranquil overlooks; take in the crisp ocean air; and cool off with a swim in the Atlantic Ocean. 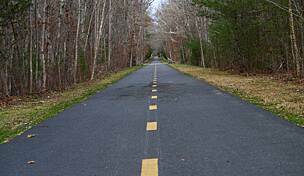 The Cape Cod Rail Trail (CCRT) is the perfect ride for families and for those looking for an easy, leisurely route with numerous diversions. Be warned, however, this is an incredibly popular trail, and during the summer (and weekends in the shoulder season), you will have lots of company! Don’t let the crowds stop you from experiencing this trail but do plan accordingly. The Cape Cod Rail Trail follows what was formerly the easternmost portion of the New York, New Haven & Hartford Railroad and passes through the charming towns of Harwich, Brewster, Orleans and Eastham. Originally part of the rail link connecting Provincetown at the tip of the Cape to Boston, the route was transformed for cyclists and pedestrians in 1978. 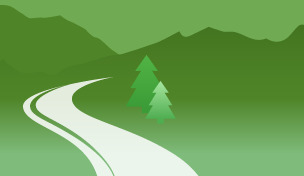 Begin your adventure by flying in to T.F Green Airport in Providence, Rhode Island, and drive 92 miles to East Dennis. Public transportation options to Cape Cod are limited, so we suggest renting a car at the airport. Bike rental options along the CCRT are numerous. We recommend staying at the family-run Sesuit Harbor House in East Dennis. Located mid-Cape, directly across from Sesuit Creek Marsh, the hotel is only 4 miles from the trailhead, which you can either drive to or bike to. The inn is set on 2 acres of beautifully landscaped grounds down the street from the bayside beaches of Dennis and the picturesque Sesuit Harbor. The property contains five buildings, including the main house (built in 1735), and offers a large outdoor swimming pool to enjoy post-ride, classic rooms in the main house, or suites with a kitchen. While there are numerous places to grab a bite during your ride, the CCRT also offers abundant opportunities for lovely picnicking. If you decide to pack a lunch, stop at Ring Bros. Marketplace, located in a shopping complex right before the trailhead (turn by the gas station). Housed under one roof, the marketplace is home to several local businesses, including a bakery, deli, grocery and juice bar. You’ll find an array of options for a gourmet picnic lunch. 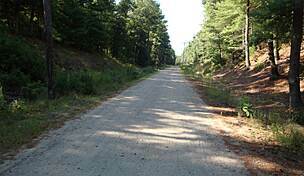 The CCRT begins in S. Dennis and ends in S. Wellfleet, and you can ride it out and back in one day (44 miles round trip). This itinerary begins at the western trailhead, since some of the more scenic spots are at the farther end and make for nice resting spots, although you could easily do the trail in reverse. Water and restrooms are available along the route, and food and other refreshments are plentiful at various businesses adjacent to the trail. Parking at the S. Dennis trailhead is limited and tends to fill early. Plan accordingly or consider alternative parking along the route. The first few miles of the CCRT offer many opportunities to stop for snacks, drinks, or bicycle maintenance, if needed. This section is forested on both sides, offering some degree of shade on hot days. Pay careful attention to road crossings. While most motorists will stop to allow bicyclists to cross, keep in mind that tourists are plenty, which means many are unfamiliar with the roads and may not be paying attention to cyclists attempting to cross. In Harwich, you will come upon a large bicycle rotary. 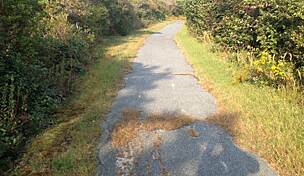 This is a juncture for the 8-mile Old Colony Rail Trail, another route that continues through Harwich and the Harwich Wildlife Sanctuary, ending in Chatham. This trail takes you along an almost exclusively wooded area, which can be refreshing on a hot day. If you decide to take this route, note that short sections veer off to some lightly traveled roads as well as a busier section approaching downtown Chatham. Watch for signage to continue on the CCRT (it’s well marked, and trail information kiosks provide further details about the CCRT). Continuing along the CCRT, you will pass glacial ponds and a number of scenic vistas before reaching Nickerson State Park (NSP) near mile 11. On a hot day, the park provides a great opportunity to cool off in one of the many kettle ponds, picnic in a shady grove, or stretch your legs along a walking trail. Restroom facilities are also available. NSP also has more than 400 campsites and a convenient trailside location, offering an alternative lodging option. Past the park, the trail continues along the road for about a half mile and over a bridge crossing, before reaching the town of Orleans. If you have not already stopped for refreshment, Orleans has several options, including the family-run Hole-In-One, serving breakfast and lunch and featuring hand-cut donuts and a variety of sandwiches and burgers (take a right on Main Street and the first left into a parking lot; the restaurant is at the end of the lot). Two bike shops (Orleans Cycle and Idle Times are also trailside in Orleans. If you need a coffee or hand-dipped chocolates, stop at The Hot Chocolate Sparrow for a treat (located right off the trail behind Idle Bikes off Main Street). There’s a water fountain here on the trail if all you need is a top-off. Continue on the CCRT just past the Main Street crossing to sample the ice cream or frozen yogurt at Emack and Bolio’s just off the trail at Oracle Square. Beyond Orleans, Cape Cod National Seashore is on your right. Along this section of the route, you will find less shade and more scrubby trees and low shrubs. Look for the Salt Pond Visitor Center at mile 16. This is the Cape Cod National Seashore’s main visitor facility, which features orientation films, a well-stocked bookstore, a museum highlighting the natural and cultural treasures of Cape Cod, restroom facilities, and a scenic overlook of the Nauset Marsh and the Atlantic Ocean. 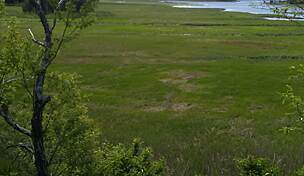 Take a walk along the scenic 1.5-mile Nauset Marsh Trail and the short Buttonbush Trail to see local flora and fauna. Learn what this spectacular National Seashore has to offer and plan to return for further exploration! The trail ends in S. Wellfleet at a parking area with a restroom. If you are starting your ride here and need bike rentals or refreshments, immediately on the other side of the parking area (behind the trees) is a shopping complex that includes the S. Wellfleet General Store. Here you’ll find a grocery and deli, Blue Willow Bakery, and Little Capistrano’s Bike Rentals. This is accessible from the side of the parking lot (or take a left on Lecount Hollow Road to access the parking lot). Before turning around to head back to S. Dennis, consider riding a little farther by taking a right on Lecount Hollow Road to Maguire Landing Beach. Take in the scenery or go for a dip in the Atlantic. On the return trip take advantage of other swimming opportunities you passed en route, or for something different, experience the magic of a lavender farm. The Cape Cod Lavender Farm in Harwich, located on 20 secluded acres overlooking Island Pond, is one of the largest lavender farms on the East Coast. 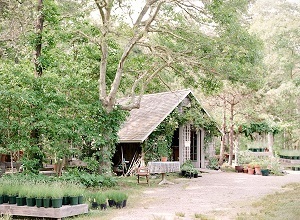 The plants are typically in bloom late June to early July, but even if you are there at other times of the year, check out the shop, which has various lavender products. The farm and shop are not open year-round, so call first if you are coming off season. To reach the farm (located less than a mile off the trail), follow the Old Colony Rail Trail from the bicycle rotary in Harwich for 0.3 mile before turning left on Pharis Fields Road; bear right at the first turn toward Weston Woods Road. Ready for dinner? While in Harwich, stop by Buca’s Tuscan Roadhouse, which offers a variety of pastas and Italian specialties from the Tuscan region of Italy. Buca’s offers fine dining with a Cape flair. 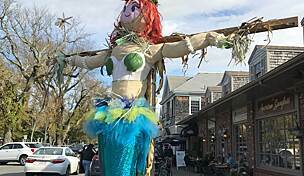 If you prefer to eat dinner closer to your lodging, Fin, in the heart of Dennis village,is worth the wait. Located in a historical home, Fin features ingredients from local farms, sea farms and sustainable fisheries. The place is frequented by locals and tourists, so be sure to make a reservation at this popular fine-dining spot (dinner is offered Wed.–Sat.). Craving a lobster roll? For a more casual dining option, stop by the Sesuit Harbor in Dennis for one of the best lobster rolls on the Cape. Sesuit Harbor Cafe has an outdoor dining area on the beach at the Northside Marina (serving breakfast, lunch, and dinner daily; April–Oct.). The cafe offers a relaxed family-friendly atmosphere and a varied menu, featuring a raw bar and array of fresh local seafood dishes. Stop by at breakfast for a lobster omelet and coffee, and soak in the sunrise. Open for more than 30 years, Brewster Fish House is another option. It originally began as a fish market, but, now, in addition to serving some of the finest seafood, they also make their own charcuterie, including bacon, guanciale and coppa. Try the five-course tasting menu to fully savor the range of what they offer. In addition to the activities that Cape Cod is best known for, such as swimming, fishing and sailing, consider the options below for the second day of your trip. Stretching from Provincetown to Eastham, Cape Cod National Seashore is not to be missed. With more than 40 miles of beach, marshes, ponds, cranberry bogs, and picturesque lighthouses, there is much more to this national park than what is accessible from the CCRT. Take time to meander the many walking trails, and learn along the way by participating in the cell phone interpretation program. 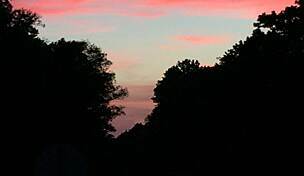 Take a self-guided GPS scavenger hunt tour of Fort Hill in Eastham on a quest to discover why the fort is nationally significant and why it is protected within the confines of the Cape Cod National Seashore. Also, visit scenic overlooks and explore Highland Lighthouse in Truro, the oldest lighthouse on Cape Cod. Peruse the shops along Commercial Street in Provincetown. Stop in at the Provincetown Library (dating back to 1873), which houses a 55-foot replica of the schooner Rose Dorthea. Visit Race Point Beach, part of the Cape Cod National Seashore and home to some of the most spectacular sand dunes on the Cape. Climb 116 steps and 60 ramps to the top of the 252-foot-high Pilgrim Monument, which commemorates the first landing of the Mayflower Pilgrims in Provincetown in 1620. 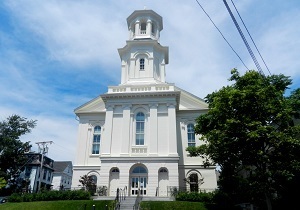 Learn about the town’s history at the adjacent Provincetown Museum. Spend a day on a dolphin and whale watching tour, available at various locations throughout the Cape. 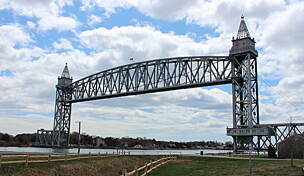 In Provincetown, go with Dolphin Fleet Whale Watch or Hyannis Whale Watcher Cruises in Barnstable. In Provincetown, you can also enjoy fine dining with an incomparable view of the harbor, Cape Cod Bay, the lighthouse at Long Point, and the cliffs of the Outer Cape at the 200-year-old Red Inn. Make reservations well in advance for this award-winning restaurant, which features a menu that changes with the seasons. Try their innovative seafood dishes and famous lamp chops. Ready for more biking? You’ll find numerous shorter bike rides throughout the Cape. 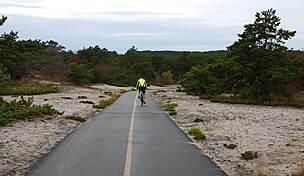 In addition to the Old Colony Rail Trail, check out the Shining Sea Bikeway, another rail-trails, taking you 11 miles along the shoreline from Falmouth to quaint Woods Hole. The latter provides a jumping off point for ferries to Nantucket and Martha’s Vineyard.